High blood pressure is a condition that can lead to some serious health issues. For instance, high blood pressure can cause life-threatening damage to a person’s arteries, kidneys, heart, brain, and eyes. More clearly, high blood pressure can lead to coronary heart disease, heart failure, stroke, dementia, kidney failure, and even sexual dysfunction. Nobody wants to experience any of those conditions, but a lot of people eventually do. The term “blood pressure” is used to describe how the heart pumps blood into the arteries for entire body. A balanced blood pressure is required to remain healthy, but when the pressure increases over time and becomes unbalanced, it can become deadly. 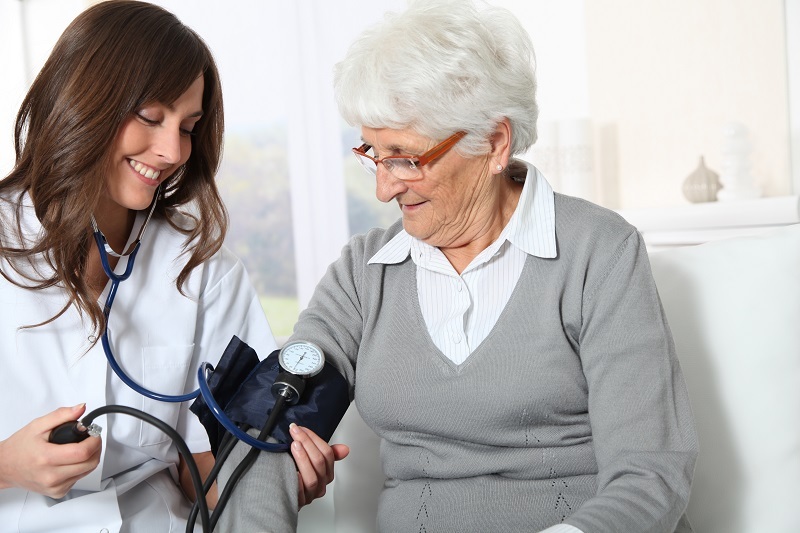 According to the Centers for Disease Control and Prevention, approximately 75 million American adults have high blood pressure, which is roughly 32 percent or 1 in every 3 adults (cdc.gov, 2016). Many parts of the spine can have an impact on the cardiovascular system, and that is exactly how a chiropractor can help reduce a person’s blood pressure, by adjusting their spine in areas to allow the nerves to flow freely and function properly. A chiropractor understands how dangerous high blood pressure can be for patients. A chiropractor takes extra precaution for patients who complain about high blood pressure because it is well known how sensitive the body can become with this condition, and chiropractors do everything they can to help reduce the symptoms of high blood pressure. If you have high blood pressure, depending on your condition, a chiropractor may be able to help you find some relief. Call your local chiropractor to schedule an appointment today. The two most common areas of the spine that are associated with high blood pressure are the upper cervical and upper thoracic spine. These two areas of the spine control a lot more than blood pressure, but for now, we’re just going to discuss high blood pressure. In the cervical spine, a subluxation in the Atlas (C1) can dramatically increase blood pressure from the other conditions that misalignment causes. The nerves that connect to the C1 and C2 are essentially the root of functionality in the head. This means that if there is a misalignment anywhere in the cervical spine, particularly these two vertebrae, then the possibility of high blood pressure is almost a certainty. On the other hand, the T1-T5 vertebra also have a significant effect on the level of blood pressure based on their connections to central nervous system. Specifically, the T1-T5 vertebra nerves correspond directly with the muscles in the upper chest, mid-back, and abdomen of the body. When a subluxation in this area is present, the symptoms can cause these areas of the body to produce pain or inflammation, which can cause an increased level of blood pressure on a constant basis and ultimately cause blockage in the arteries. If you have high blood pressure, depending on your condition, a chiropractor may be able to help you find some relief. Call your local chiropractor to schedule an appointment today.